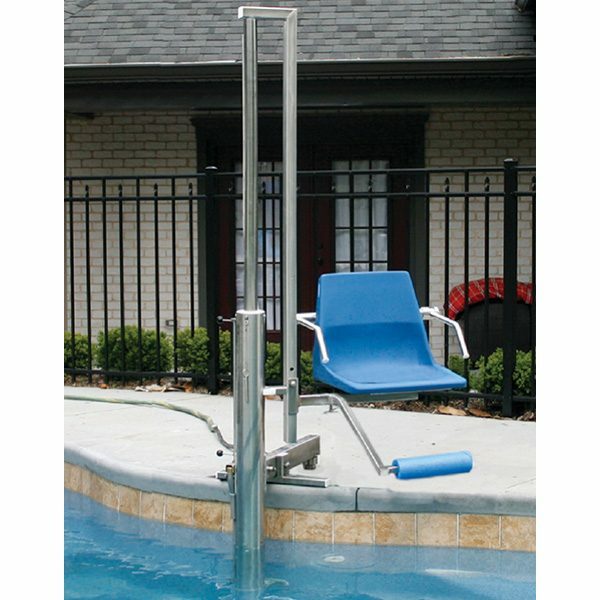 Aquatic Access Pool Lift – IGAT-180 Complete is an automatic, water powered lift that meets ADA requirements. 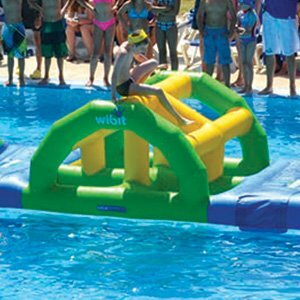 It has a 180 degree turning radius and is built to accommodate lateral transfers. Adjustable seat height travels 42″ up and down with upper and lower level controls for independent operation from deck or water. – Comes complete with foot rest.